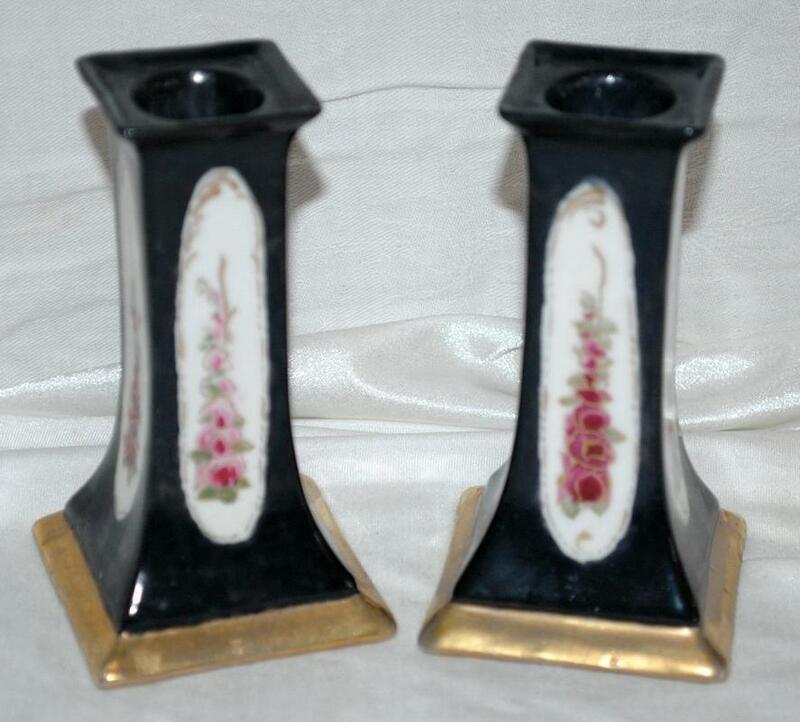 A Pair of O & EG (Oscar & Edgar Gutherz) Royal Austria Porcelain Candlesticks They are mainly black with a gold gilded base. 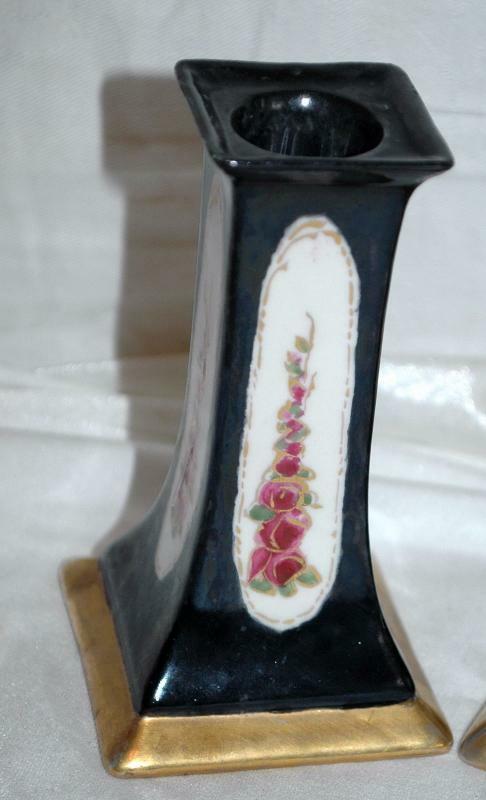 The rectangular column panels are hand painted with a cascade of dainty roses in a curly vine within the white oval. 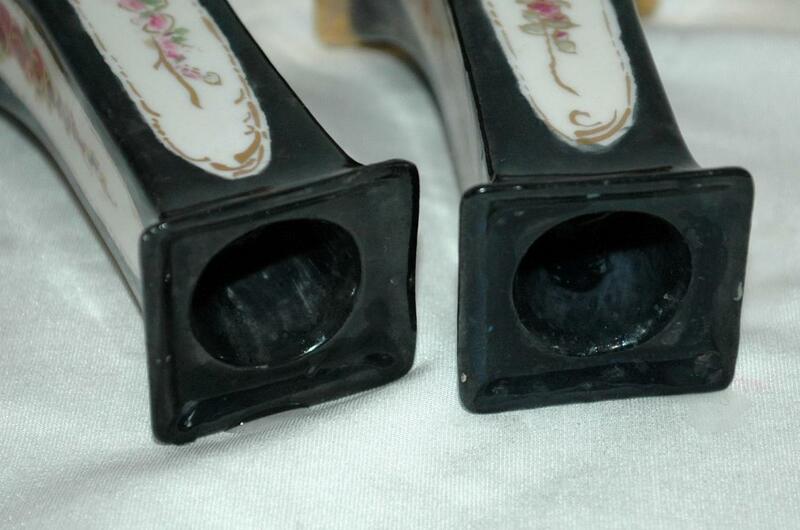 They are 4.5" tall The condition is excellent on both.. I had just washed them so you may see some fine water drop in the picture that I missed with the towel. 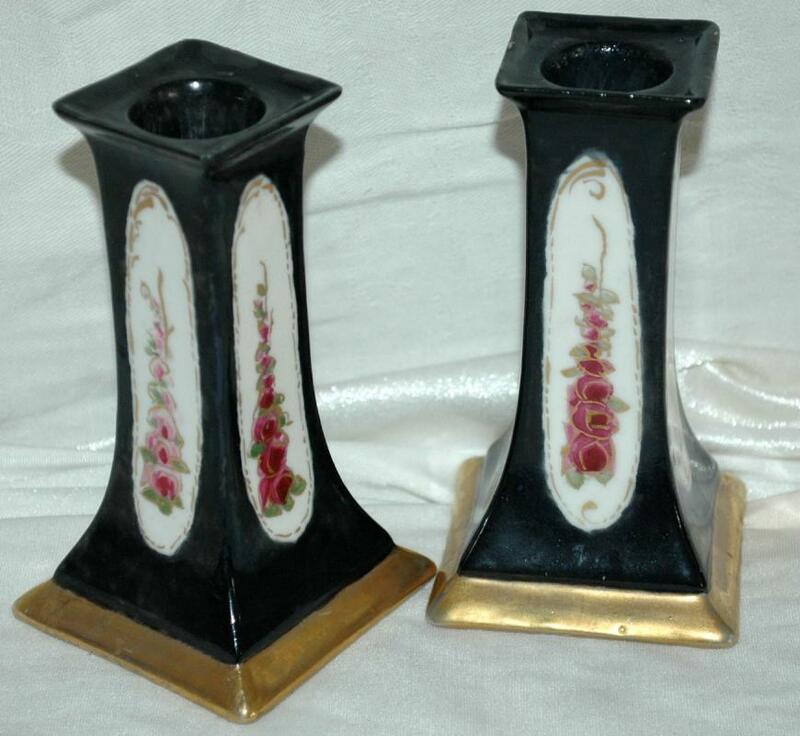 THESE DELICATE HAND PAINTED CANDLE HOLDERS ARE A WONDERFUL EXAMPLE OF FINE PORCELAIN PRODUCED AT THE TURN OF THE CENTURY IN AUSTRIA BY O&EG ROYAL AUSTRIA PORCELAIN FACTORY. THIS COMPANY WAS OWNED BY OSCAR AND EDGAR GUTERZ OF ALT-KOHLAW. AUSTRIA BETWEEN 1889 AND 1918. 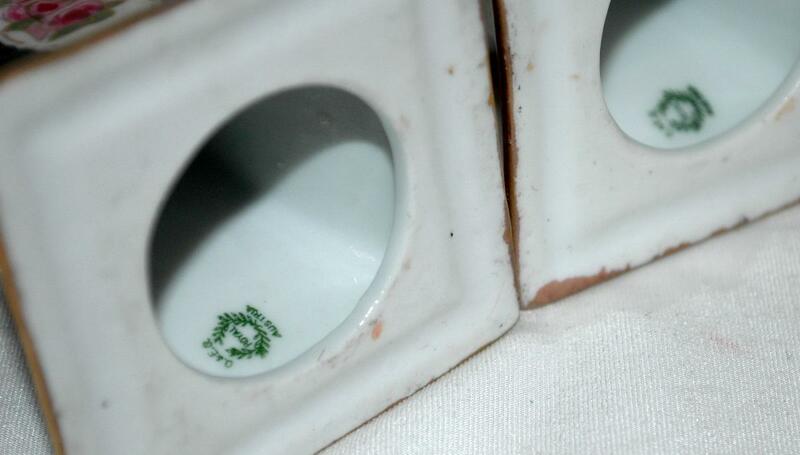 THEIR PIECES WERE MADE OF THE FINEST ELEGANT PORCELAIN. 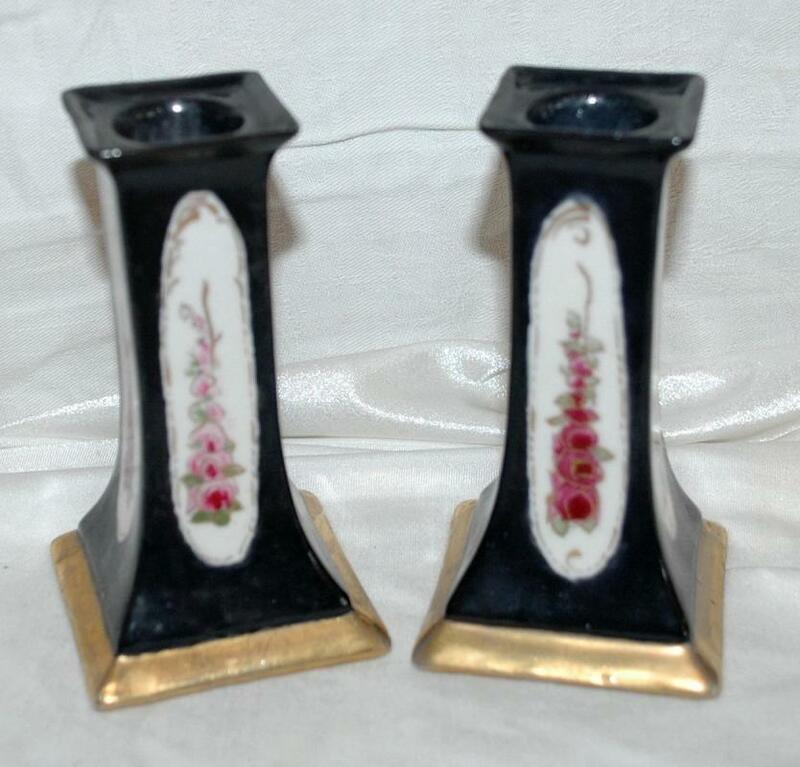 Items Similar To " A Pair of O & EG (Oscar & Edgar Gutherz) Royal Austria Porcelain..."